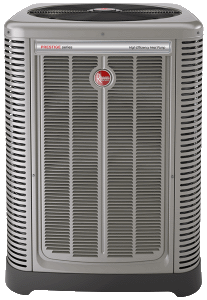 Explore heat pumps reviews, comparisons, tips and buying guide for the home HVAC needs. Discover the latest features and technology from Carrier, Trane, Goodman, Bryant, Lennox, American Standard, York, Rheem and other manufacturers. Use the comparison chart to find the most energy efficient models, side-by-side. Is your heat pump malfunctioning? No problem, we will find the answer for easier and understandable troubleshooting for DIY project or when calling a technician to avoid getting ripped off. All the brands, models, features and technical data are collected to save time and assist homeowners when selecting the right type, best heat pump, help in troubleshooting, installation and maintenance. What are the most advanced features and its benefits? Which is the best model? What the main parts are and how to recognize quality elements? HeatPumpsHQ.com is the comprehensive source of information about heat pumps where homeowners can also find useful info about air conditioners and furnaces for creating reliable, efficient and economical home climate control. Visitors of the site will have an opportunity to share their knowledge and experience, ask a question and get the answer for the best home comfort needs. Learn how to install a portable air conditioner at home, fast and easy. How to install the AC/heat pump using the window kit on the sliding windows and doors. Learn how to avoid common problems with mini split air conditioners and heat pumps, how to recognize the symptoms and troubleshoot correctly. What is a heat pump condenser, how it works, problems and repair tips. How properly to maintain the condenser for the efficient heating and cooling.